Jan.17--CHINA's Shanghai International Port Group (SIPG) retained its top position as the world's busiest container port for the ninth consecutive year. The port recorded 42.01 million TEU throughput in 2018, an increase of 4 per cent compared to 40.23 million TEU posted in the previous year, reaching a record high. 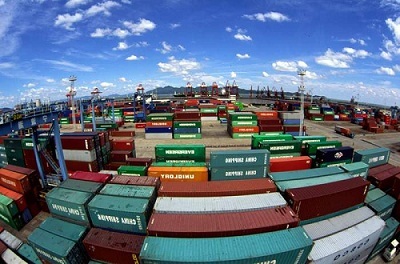 The port achieved CNY10.28 billion (US$1.52 billion) net profit last year, reports Seatrade Maritime News, Colchester, UK. The port's improved performance was attributed to the recovery in the global economy, the nation's increasing import and export business coupled with improving service capability and efficiency, SIPG stated in its 2018 performance brief report. The world's second largest container port Singapore reported an 8.7 per cent growth in container volumes to reach 36.6 million TEU last year. Senior Minister of State for Transport and Health, Lam Pin Min, said 2018 had been a "year of uncertainty", but, "Thankfully, Maritime Singapore fared not too badly." Total cargo throughput was up slightly at 630 million tonnes last year compared to 627.7 million tonnes a year earlier. The Lion City remained the world's largest bunkering port in 2018 although the volumes sold in the port slipped to 49.8 million tonnes compared to 50.6 million tonnes a year earlier. The Singapore Registry of Ships also enjoyed a good year with the total tonnage of ships under the Singapore flag climbing 2.4 per cent to reach 90.9 million gross tonnes in 2018. Mr Lam noted that Singapore continued to attract top players with Thenamaris setting up a commercial ship management office and the World Shipping Council announcing it would be setting up its Asia office in the Lion City. Looking ahead on the container port front Singapore made positive strides in ensuring future volumes last year with Ocean Network Express (ONE) committing to a 4 million TEU joint venture terminal with PSA and Cosco Shipping Ports adding 2 million TEU to its joint venture terminal with PSA to bring its annual capacity to 5 million TEU.